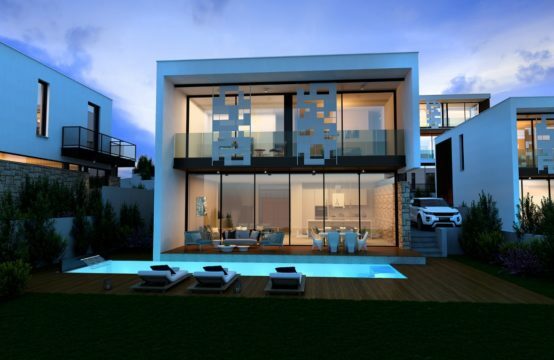 Imagine a property on the Mediterranean island of Cyprus and directly overlooking the sea. An enchanting location, where the turquoise waters shimmer in the sun, skies are blue almost every day of the year and the weather is mild all yearnround. Then picture a pedestrian path that leads from the property to a small and quiet sandy beach. That is the setting of Queens Sands, a brand new gated development of only five detached luxury villas, with secure access that is strictly reserved for residents. Located in Kissonerga, a community just outside the holiday resort of Paphos, Queens Sands beachfront villas are in a class of their own. 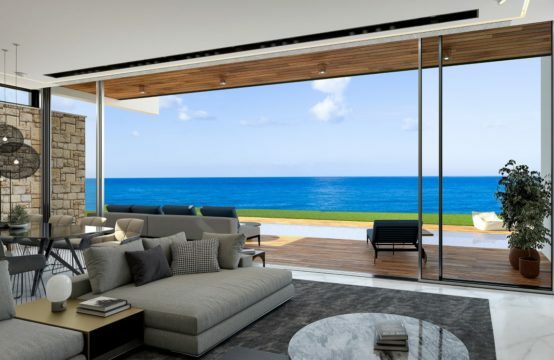 From their contemporary architecture to their superior construction, from the sun-filled interiors to the private gardens with overflow swimming pool, these villas were made for homeowners who love the Mediterranean sea and climate, and are seeking a home in Cyprus, with a touch of royalty. The masterful architecture and villa orientation guarantee uninterrupted sea views from every property. Whether you are interested in a home for permanent residence or for regular holidays, Queens Sands captures the essence of modern Mediterranean living, enhanced with elements of luxury that blend good taste with lasting quality… and the result is simply magical. At Queens Sands, it all comes together: high-specification construction, sophisticated architectural design and fine craftsmanship. French windows and glass balcony railings maximize the daylight that fills each home and reveals beautiful interiors. Pressurized water system (type Grundfos MQ 3-45). Double glazed aluminum system with Uw≤2.9W/m2.K.